If you missed them, it would be worthwhile to be aware of part 1 and part 2 of this series before continuing. In order to be able to work with different smart devices and be as flexible as possible, PyPotter is designed to work with the smart home software Home Assistant. Home Assistant is a fantastic open source software package for home automation. It is how I use and manage my house’s smart devices. PyPotter uses Home Assistant’s REST API to give your wand the ability to control any device configured to work with your Home Assistant. A full Home Assistant tutorial is outside the scope of this post. If you don’t use Home Assistant and don’t want to, you can always modify the source code to control your devices in a different way. 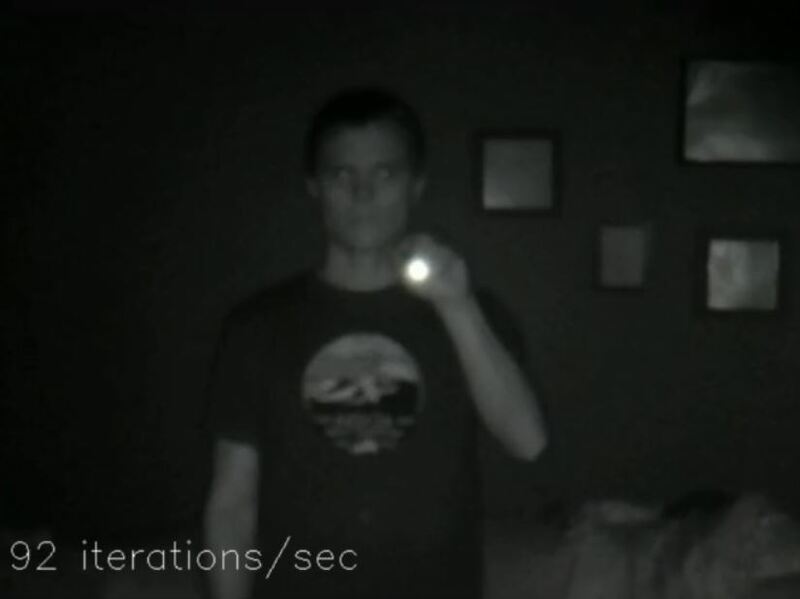 PyPotter processes data input from the WiFi Streaming IR Camera we made in part 2. An example input frame is shown below. Each frame of video has its background removed using Open CV’s MOG2 background subtractor. This removes portions of the image that are not moving to make it easier to pick out the wand tip. This will help if there is something particularly reflective in your background that could be confused for a wand tip. After the background is removed, each pixel of the frame is checked to see if it is above a given brightness threshold. A new frame containing only pixels over the brightness threshold is created. This frame, with its background removed and containing only pixels over the brightness threshold, is now ready for analysis. If no wands tip has been identified, the frame is fed through Open CV’s “goodFeaturesToTrack” function to find the most prominent corners in the image, which should be the tip of our wand (if present in the frame). Once a wand has been found, the following frames are sent through Open CV’s “calcOpticalFlowPyrLk” to calculate the optical flow of the wand tip. If all goes well the wand’s current position is calculated based on its previous position , previous frame, and the current frame. PyPotter keeps track of the x and y coordinates of the wand tip as it moves throughout the frames and stores them in a list. Using these points it calculates the total distance traveled and the distance traveled recently. A frame containing the full path of the wand is created. Once the distance traveled recently drops below a set value (showing that the wand has stopped moving) the full wand path frame is checked against a pre-defined set of symbols using Open CV’s k-Nearest Neighbor algorithm. This algorithm will return the name of the set of data that corresponds most with the given input. 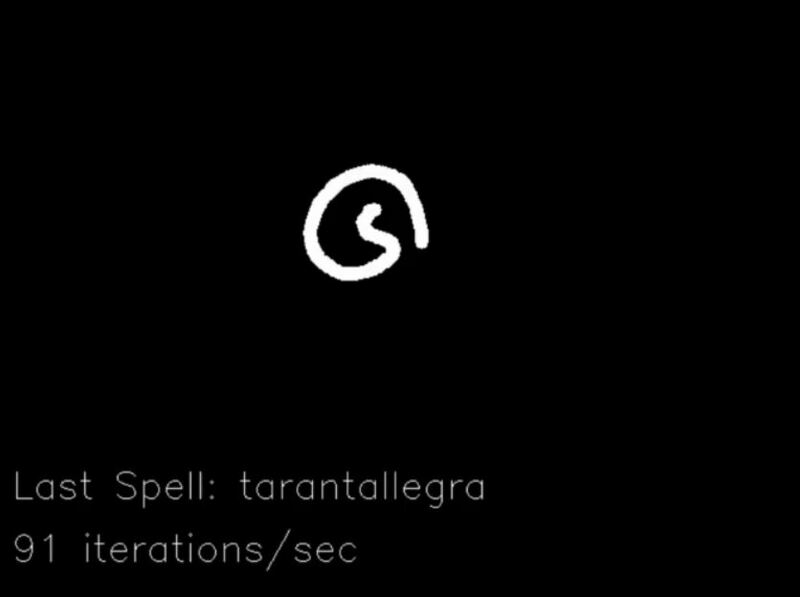 PyPotter is trained for several different spell patterns, as well as a special training set (called “mistakes”) meant to catch patterns picked up that do not correspond to spells. This bucket is required for our usage as k-Nearest Neighbor always returns the closest match, so you need at least one bucket with data that you don’t want to help prevent false positive results. When the name of the spell is determined via the kNN algorithm, PyPotter will make a call to Home Assistant’s Rest API based on the spell to perform. The code has built in support for many of Home Assistant’s services including automation, light, media_player, and switch. API Token: Your Home Assistant REST API token. Follow instructions here to get create and get a token for your profile. Remove Background – Defaults to True. Defines whether PyPotter should remove the background from frames. Not removing the background can save significant CPU usage. Must be 4th argument. Show Output Windows – Defaults to True. Defines whether PyPotter shows the output video windows. Must be 5th argument. Training – Default to False. If set to “True” PyPotter will save the image of every computed full track so you can add it to the training folder for new or improved spell matching. Must be 6th argument. PyPotter is not meant to actually be ran on a Raspberry Pi (the “Py” in its name is for Python). PyPotter can (and has) run on a Pi, but you will get better performance running it on a standard PC. I originally developed it on a Windows PC and I currently run it on an Ubuntu server. By using a PC instead of a Pi we get access to higher frame rates, better background removal algorithms, higher resolution pattern recognition, and faster throughput. The downside is that it is not running on its own stand-alone device, so if you don’t have a system that is always on it can be a bit of a pain to make sure it is running. If you do end up using it on a Pi, I highly recommend turning off the Remove Background feature. PyPotter owes some of its code and inspiration to two projects doing similar things. The first of those is Sean O’Brien’s Raspberry Potter project. 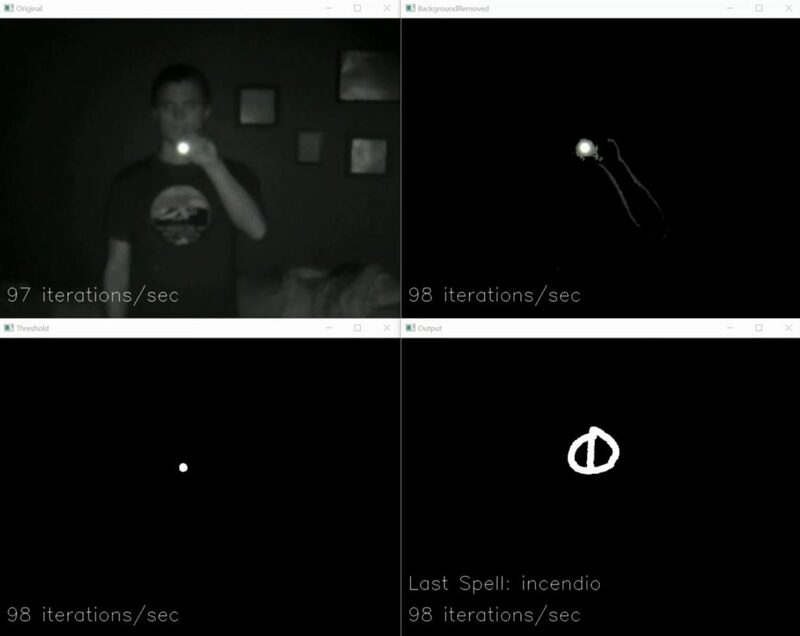 In this project Sean uses a similar method (IR Lights / IR Camera / wand) to control “Ollivander’s Lamp”. The second project is mamacker’s “pi_to_potter” which builds on Sean’s work. In pi_to_potter mamacker significantly improves the original Raspberry Potter software by using pattern recognition for detecting wand patterns. PyPotter builds on both of these projects, adding its own improvements and integrating with Home Assistant to allow for controlling almost any smart device. 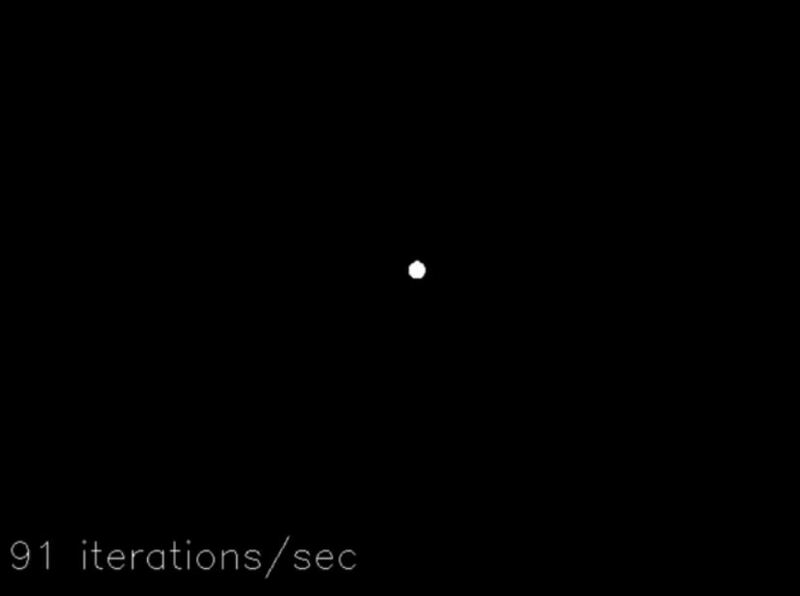 a version of mamaker’s trainedwpins.py script, and I am wanting to add in a bit of background subtraction to take away pesky background lights or reflections and a starting point; so the tracking will not start until the wand tip stays still under a threshhold of distance over a threshold of time. Any pointers would be appreciated. Hi David, thank you for the kind words. The source code provided on my GitHub should take care of both of those issues for you. It has background subtraction by default. The tracking in my code resets after a period of minimal wand movement. 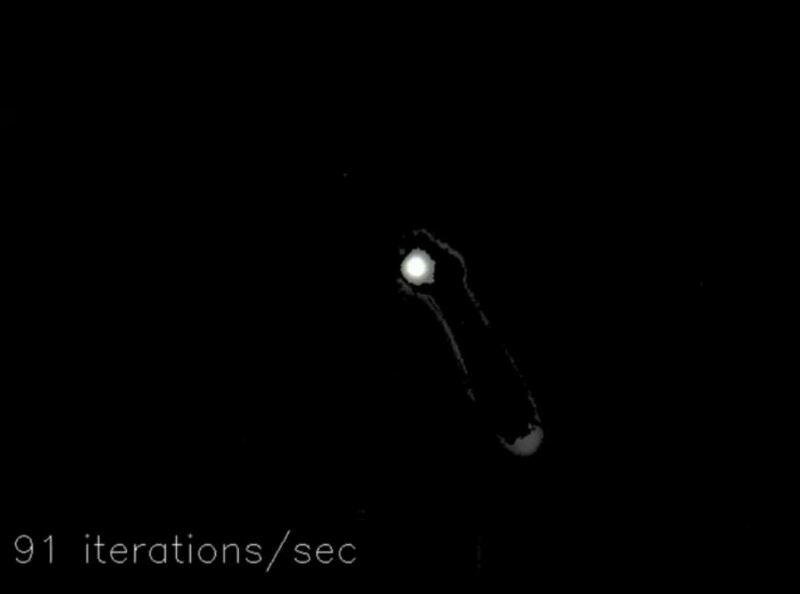 This allows you to bring the wand up to the camera, pause it for a moment to reset the tracking, make your shape, then pause again for a moment to end that track. If you need the functionality above combined with makmacker’s usage of pins, you should be able to replace the Spell function in my code with his.